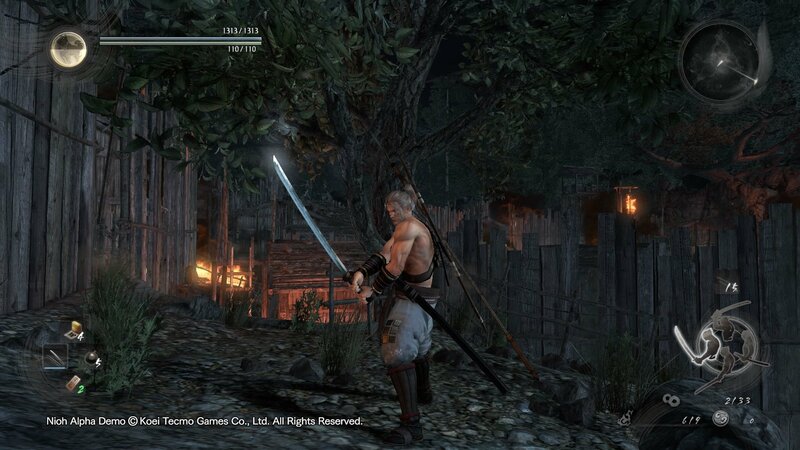 Ichigo Hitofuri & Namazu-o Toshiro is a Weapon in Nioh. "A pair of long and short swords forged by the famed swordsmith Yoshimitsu of the Awataguchi style in Yamashiro province (present—day Kyoto). 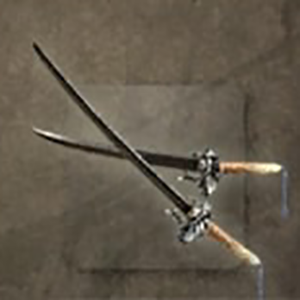 The larger of the two blades, Ichigo Hitofuri, gets its name from the fact that this sword is the only tachi Yoshimitsu crafted ("hitofuri" meaning "one sword" in this instance). It was passed from the Asakura clan to the Mohri clan, afterwards being presented by Mohri Terumoto to Toyotomi Hideyoshi, who then gave it to his son Hideyori. The shorter of the two blades, Namazu—o Toshiro, is so named due to its appearance resembling the billowing tail of a catfish ("namazu—o"). Some say that Oda Nobukatsu used the sword in the Battle of Komaki—Nagakute to kill a vassal guilty of secret communication with enemy clans. The weapon eventually fell into the hands of Hideyoshi before finally becoming a favoured weapon of Hideyori's."